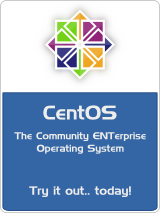 today) releasing this for CentOS-5, CentOS-6, and CentOS-7. It does not, by default, connect to https sites with TLS less than 1.2. This means it will not connect to sites on CentOS-5, for example ..